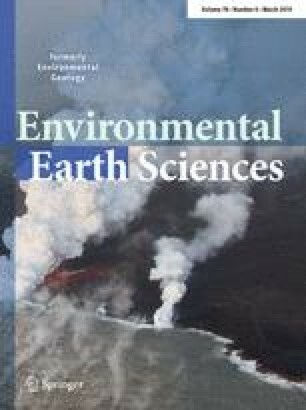 Increased attention has been paid to the influences of coal mining subsidence on the ecological environment. The revegetation of former mining areas is critical to restore the ecological balance. The subsidence area in the Shendong mining area, located in the semiarid region of China, has been restored from 2003, using five different plant species. In July 2017, we compared the plant and microbial communities of artificial restoration areas (AR) and naturally regenerated areas (NR). Based on our results, restoration planting was somehow successful, but the sites did not reach a level similar to that prior to mining. Higher plant species richness, canopy coverage, and bacterial community diversity were observed in AR. However, these features have lower similarity compared with those in NR sites. Soil factors such as pH, moisture content, total carbon content, organic matter, nitrogen level, and bulk density have a greater impact on soil bacterial community structure and diversity. In the ecological restoration of mining areas, attention should be paid to the restoration of soil properties. This study provides a scientific basis for the successful ecological restoration or highly damaged mining areas. The research was supported by the Fundamental Research Funds for the Central Universities (no. 2018BSCXC24); Postgraduate Research & Practice Innovation Program of Jiangsu Province (no. KYCX18_1951). The soil microbial data were analyzed on the free online platform of Majorbio I-Sanger Cloud Platform (http://www.i-sanger.com).